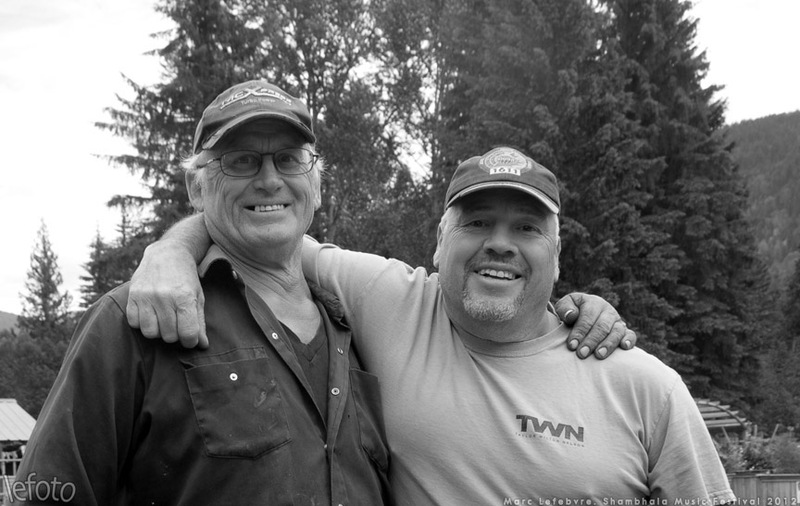 We love fly fishing. 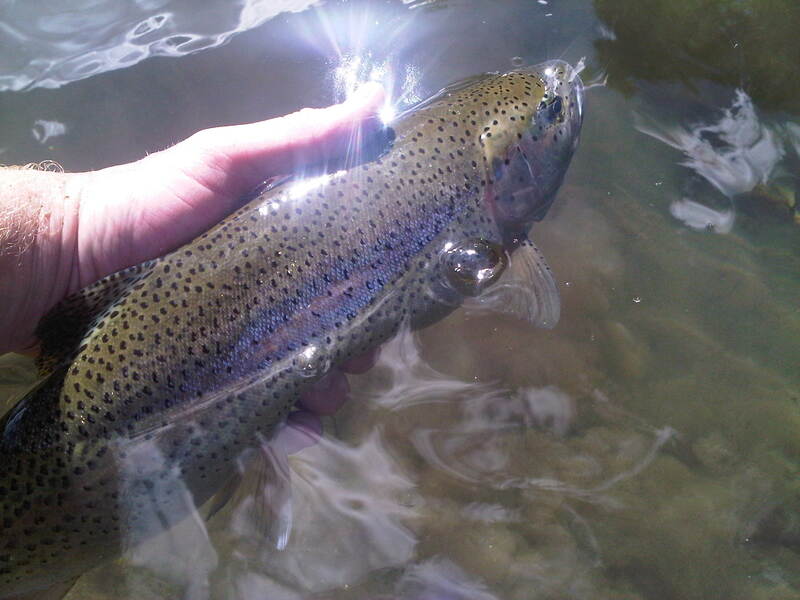 We love the beautiful trout in the Salmo River. We love the big sounds of Shambhala and the beautiful people it brings. Myself, my wife, and our friends have been going to Shambhala for 8 years. In 2010, on sunny Saturday afternoon, we watched the river turn green. No one is really sure who did it. But in all the chaos, I was watching the fish. They were happy and feeding among the people. I noticed a gentleman walking along the river with a group of festival workers. I decided to introduce myself to see what I could do to help. 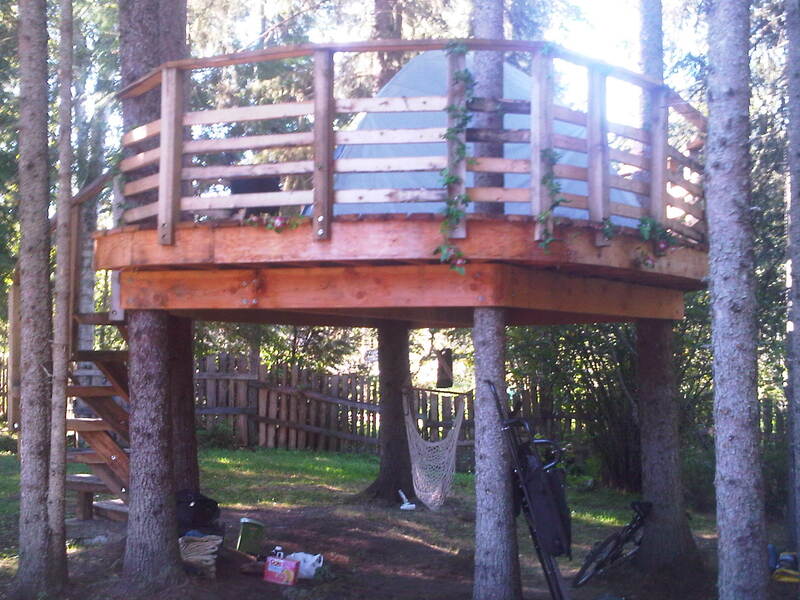 The gentleman turned out to be Rick Bundschuh, the property owner and ‘Dad’ of the farm. Rick being a fisherman himself, we got to telling fish stories. 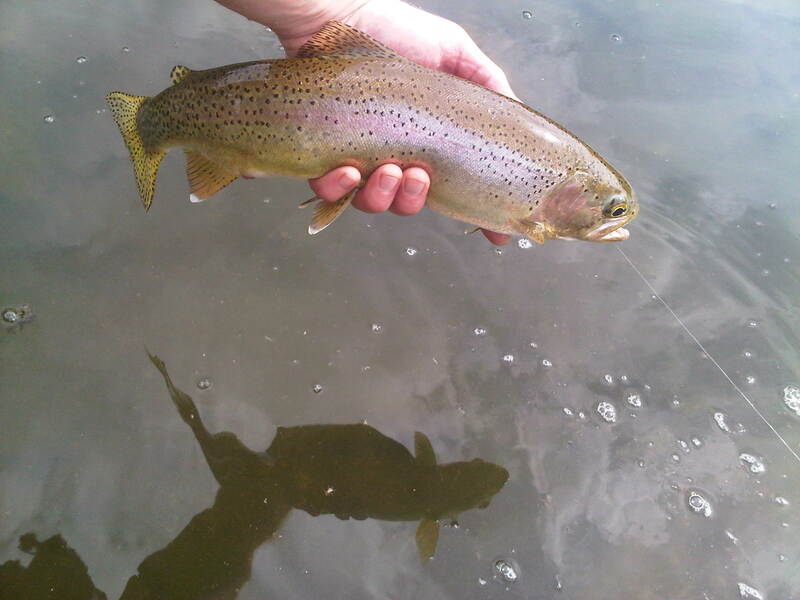 After nearly an hour of chatting, Rick invited my wife & I return to the farm to go fly fishing once all the people had gone home and the big trout returned. 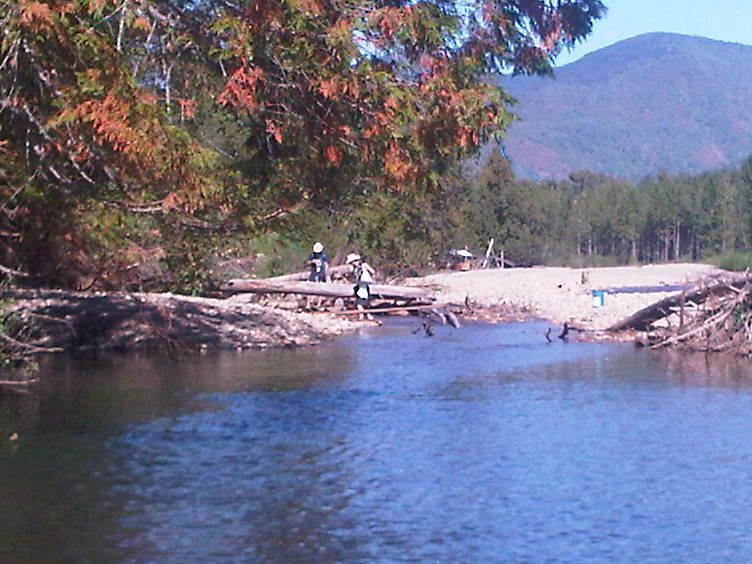 We came back to the Salmo River Ranch a few weeks later. 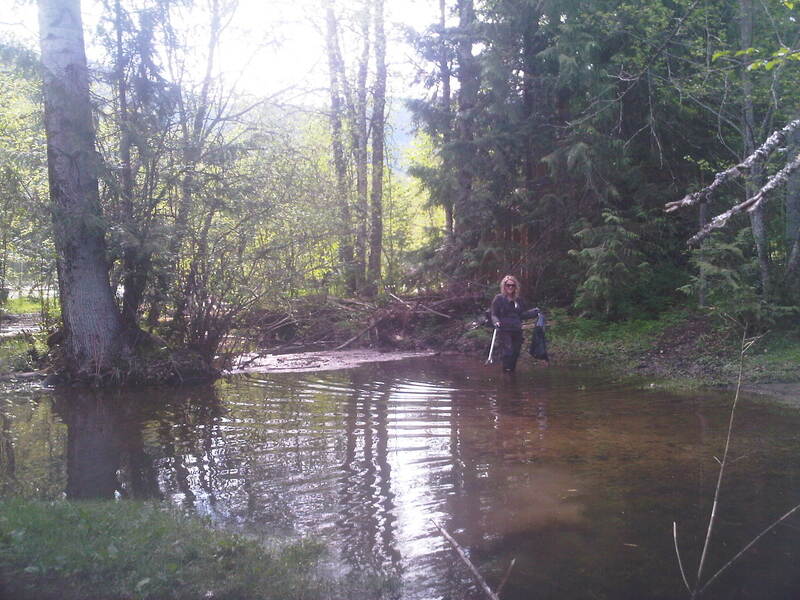 The fishing was fantastic BUT my wife and I found quite a bit of litter. We picked up what we could but, there was still more. We asked to return the following year after the festival to do some fishing and pick some trash. This time armed with picker sticks, garbage bags and pontoonboats, we picked as much as we could and caught a few nice trout along the way. We were finding garbage left behind by festival goers in remote spots that had been there for years and we got to thinking that we could do more. 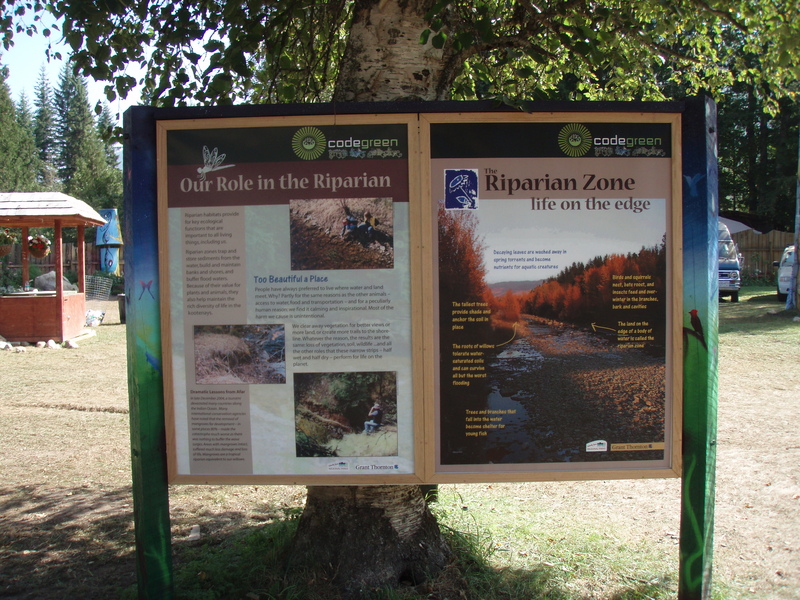 We wanted to reach out to people during the festival and teach them about the river. 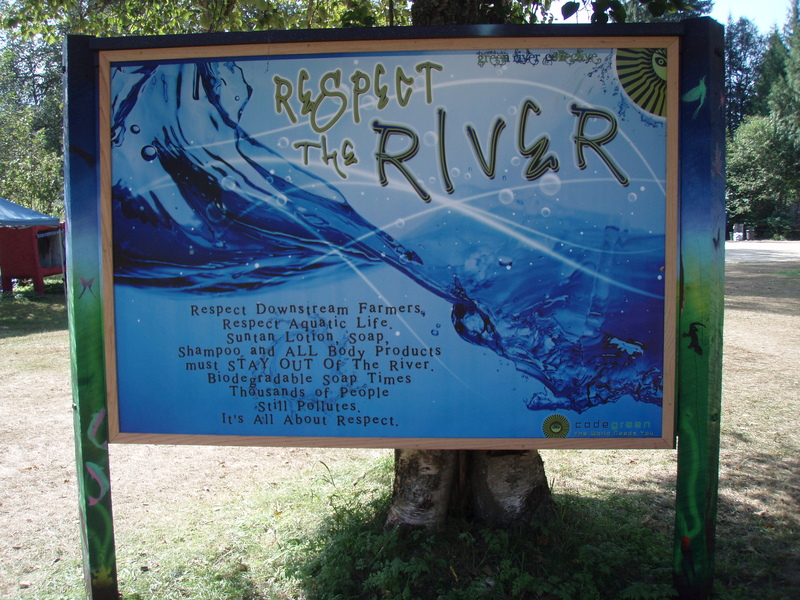 After many emails back and forth with festival organizers, we came up with The Shambhala Green River Collective – our purpose is to educate festival goers of the fragile river ecosystem and what they can do to reduce the impact they have on it. 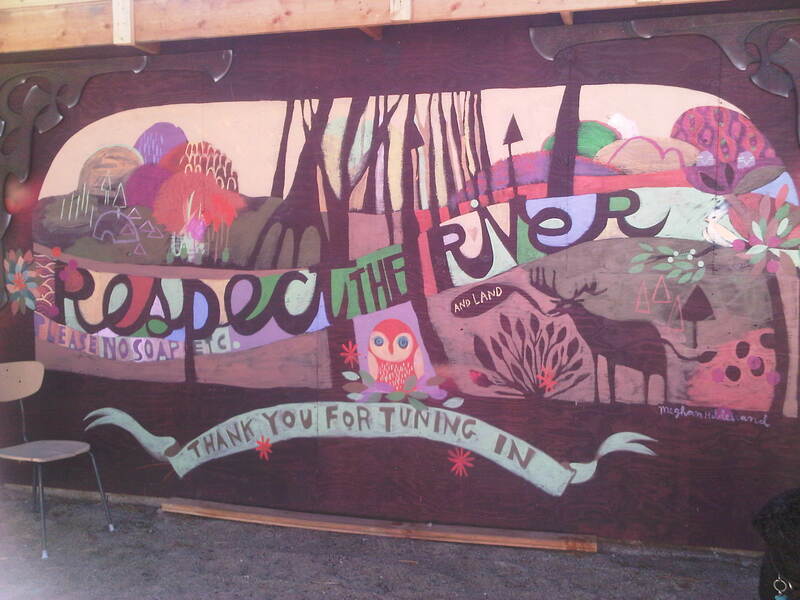 Our 2012 “Respect the River” campaign was a success. 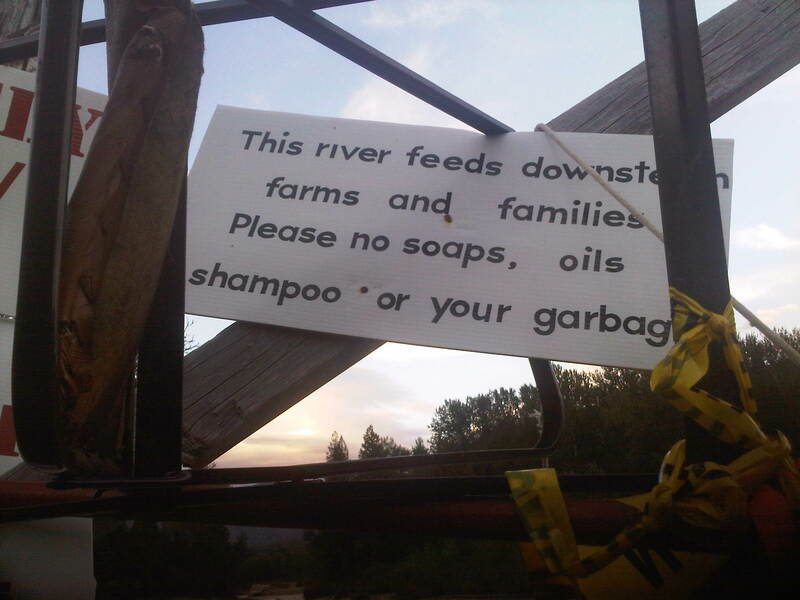 We used signage from local wildlife parks along with messages to keep soap and other body products out of the river. 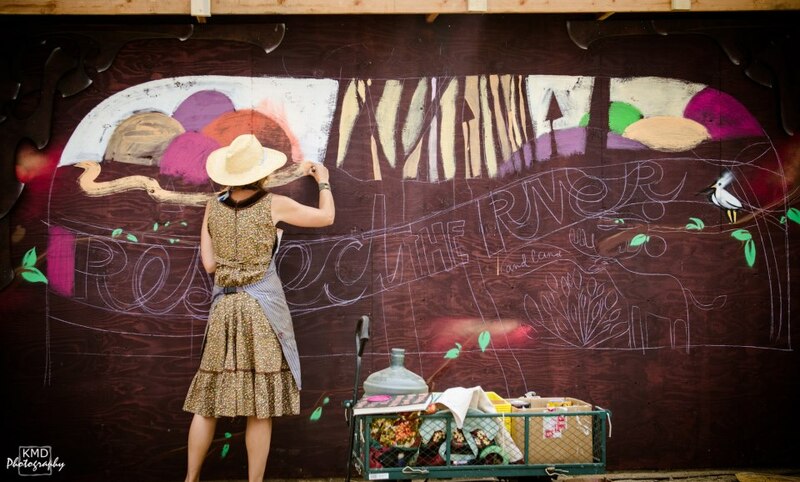 Local artists made murals with our messages. 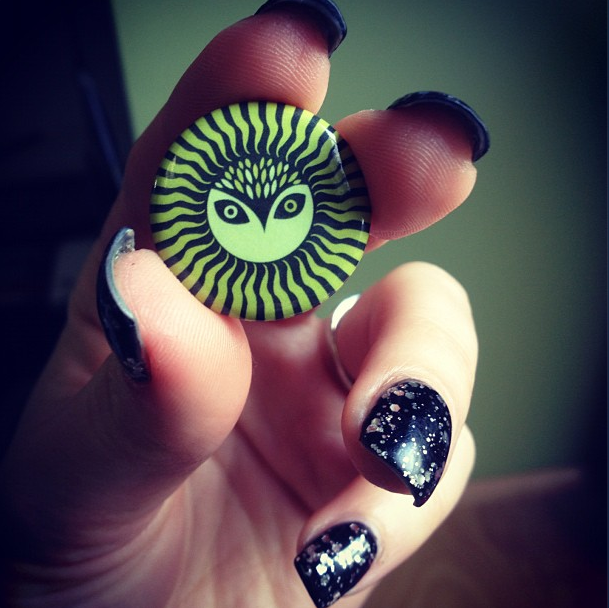 The Shambassadors handed out “CODEgreen” buttons while they affirmed that its up to all of us to do our part. We handed out stickers to the crowd. We told people what we’re all about and spread the message. It was beautiful – most everyone understood that somebody cares about what goes in the water. In the days and weeks after the festival we picked litter and did some fishing. The fish were many, healthy, and all released safely. While some people still leave their cigarette butts behind and some still cloud up the water with their soap, I’m proud to say we made a difference. 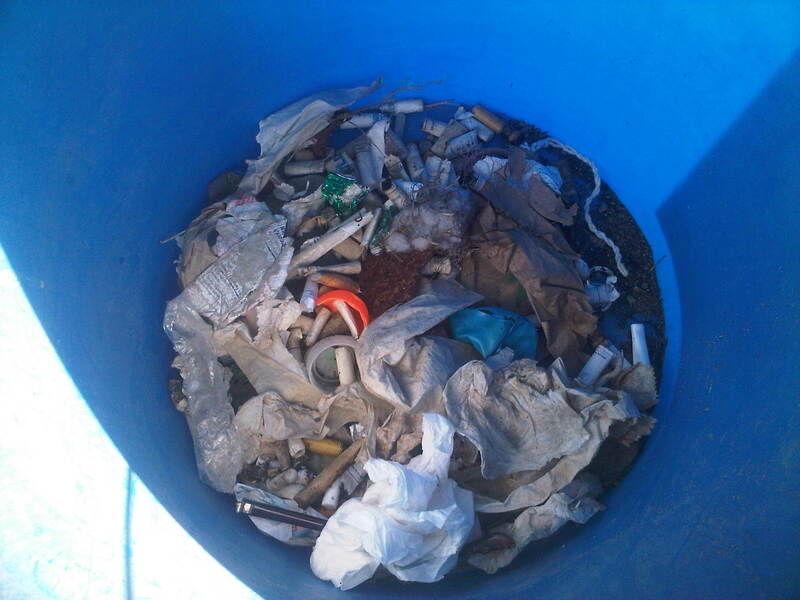 We made a difference by removing thousands of cigarette butts from the riverbed. 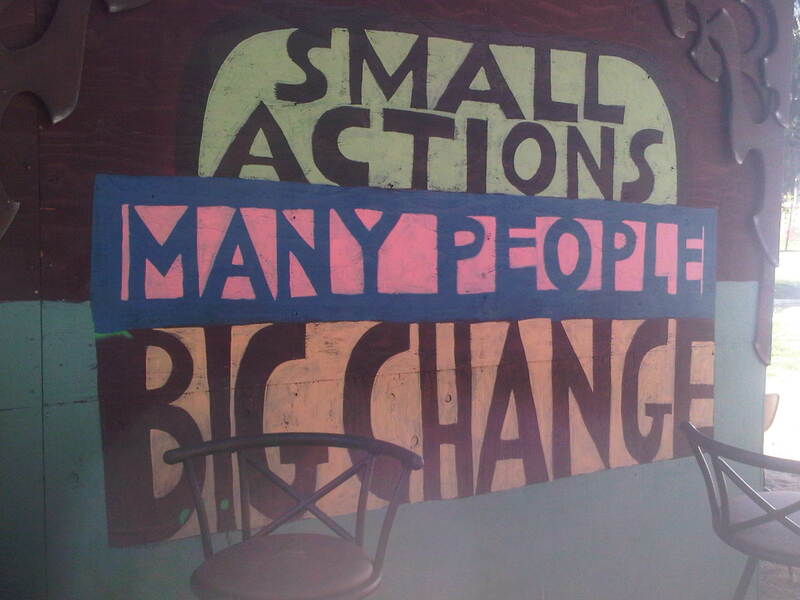 The Shambassadors made a difference by reaching people and by teaching them that “Small Actions x Many People = Big Change”. The festival picking staff made a difference by walking the river for weeks picking countless pieces of litter, plastic bottles and various other gross and quirky things. But most importantly we got to give something back to the music festival we love so much and the beautiful trout that live there. Thanks to everyone for making this such an outstanding year! 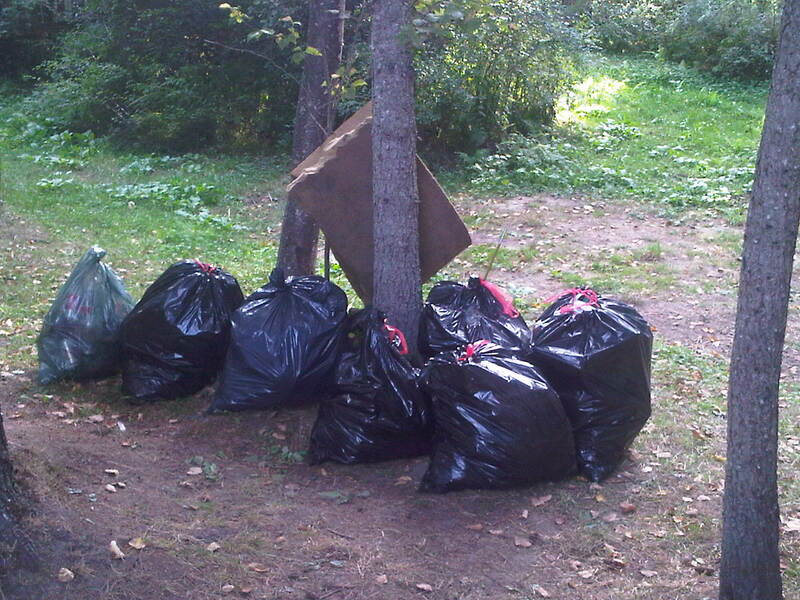 We’re looking forward to 2013 – let’s work together to make this Shambhala even cleaner! 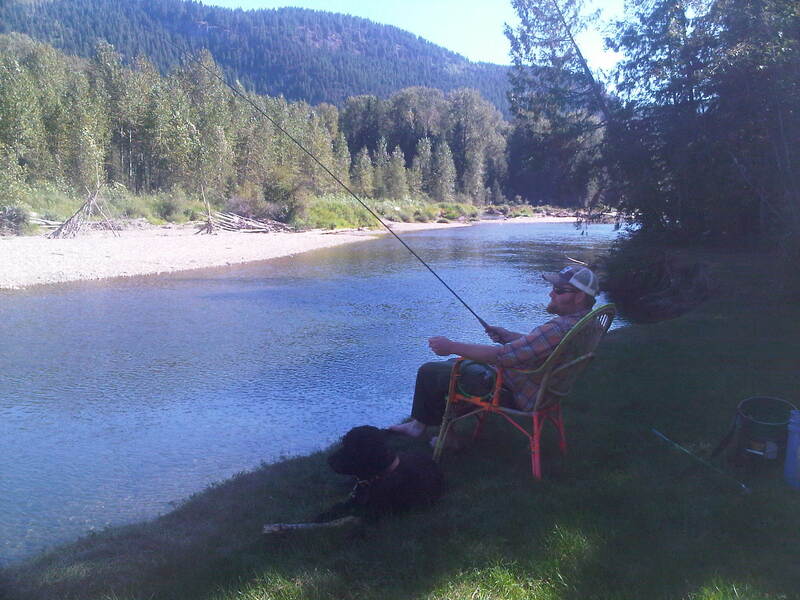 This entry was posted in Community, From Farmily and tagged Camping, Culture, Ecosystem, environment, Farm, Farmily, Fishing, Get Involved, Habitat, Inspiring, Love, nature, Salmo River, Salmo River Ranch, Shambhala, Shambhala 2010, Shambhala 2011, Shambhala 2012, Shambhalove, Trout, Volunteer, Water, Wildlife. Bookmark the permalink. Education is power! Great job proud to say that I walked by that sign this year and I talked to my whole group about how important it is to keep the water clean, the signs made a huge difference. Thank you so much!! 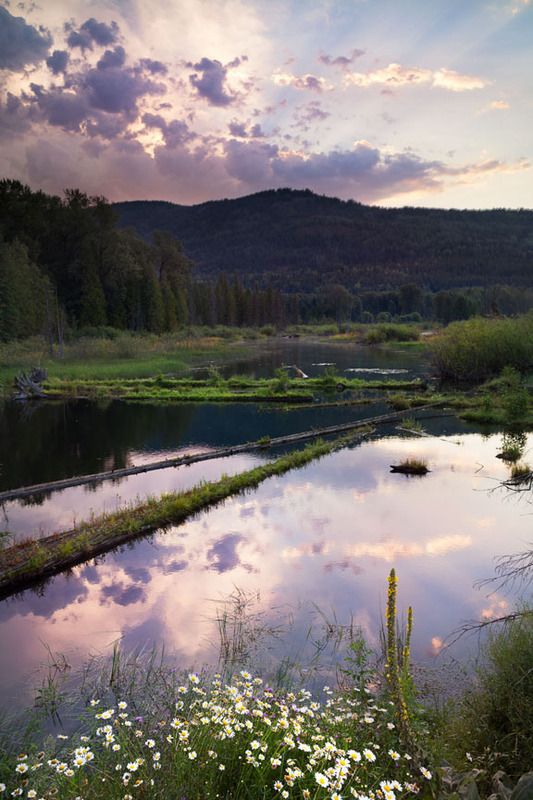 Water habitat and conservation are paramount. Thanks for taking initiative, I was so glad that they stopped allowing shampoos and soaps. And I think a lot of people really are finally getting the message that garbage = bad for everyone. Great change. I visited several web sites however the audio quality for audio songs present at this web site is really superb. Je suis agée de 38 années . Hello; Je suis jeune de 37 berges ! Je suis jeune de trente-cinq piges . Je souffle mes vingt-neuf bougies dans un mois ! Je suis une infirmière . On dit souvent que je suis une vraie prune. Je porte le joli nom de Dalmace. Je travaille comme agent de police ! Je suis plutôt d’un naturel enjoué.